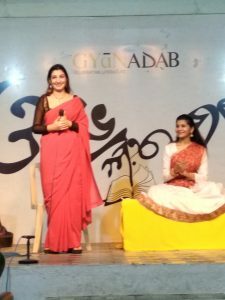 On a breezy monsoon evening, patrons trickled into Gyaan Adab for a music-poetry-dance event that would be both high on energy and meditative. The event began with an introduction of the poet, Randhir Khare. Mr. Khare elaborated on the concept behind the book and the event. 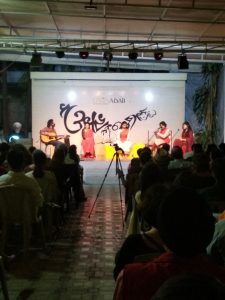 Our artists for the evening - Shruti Patki, Sarthak Dua, Deepak Bhanuse, Anushaw Askari and Mohini Gupta - were to respond to select poems from his book. This is the format the poet chose in order to give a personal touch to each of the performances. Every artist had two segments to their performance. 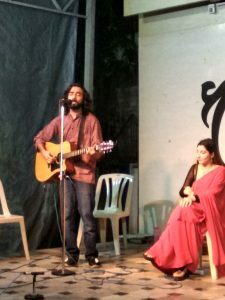 Deepak Bhanuse, a flautist, performed solos and also was a brilliant accompanist to the artists. He introduced a different texture to the music by playing the pan pipe and the Borindo - a wind instrument from Dangs in Gujarat. 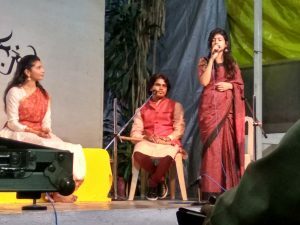 Mohini Gupta, a singer-songwriter who has been deeply influenced by Indian classical music and Sufi sounds mesmerized the audience with her voice. 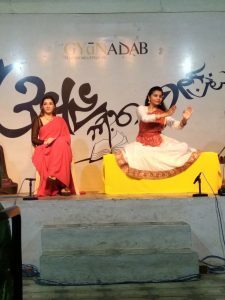 Shruti Patki, a Kathak dancer, responded to the poems with baithak abhinaya alongside a recitation by Mr. Khare. Anushaw Askari, brought in elements from her roots with an original composition in English and a poem recitation in Farsi. 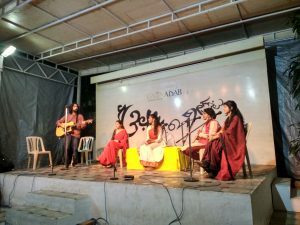 Lastly Sarthak Dua, with his soulful and upbeat compositions brought the event to a close on a high note.